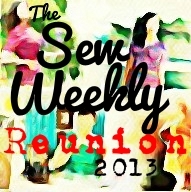 Any other followers of Project Sewn out there? When I started following this season, I realized I had sewn, was sewing or in the planning stages of something that fit each of the 4 challenges. This week was PINK and I had a dress already on my cutting table. 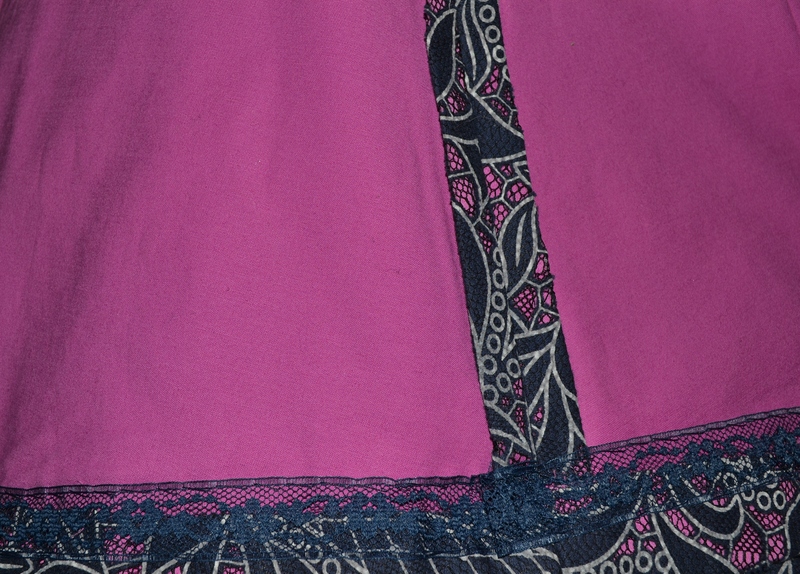 It started as a navy and white fabric with open cut work, which I decided to back in fuchsia pink. The pink peeks out and the combination looks like a floral print of one solid fabric. 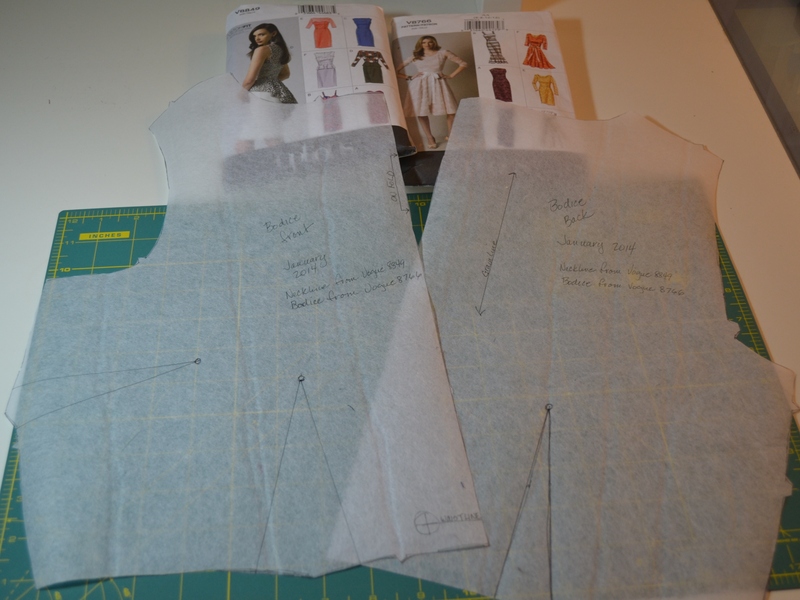 I used my favorite bodice, (yes, for the third time already this year) which is a combination of two Vogue patterns. 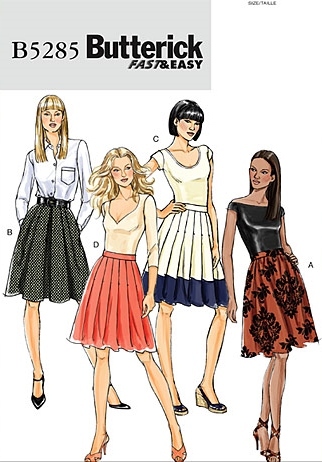 Then added a skirt from Butterick 5285, view B, but inverted the pleats in the opposite direction of what is shown on the pattern. It created a fit and flair silhouette, one of my favorite styles. 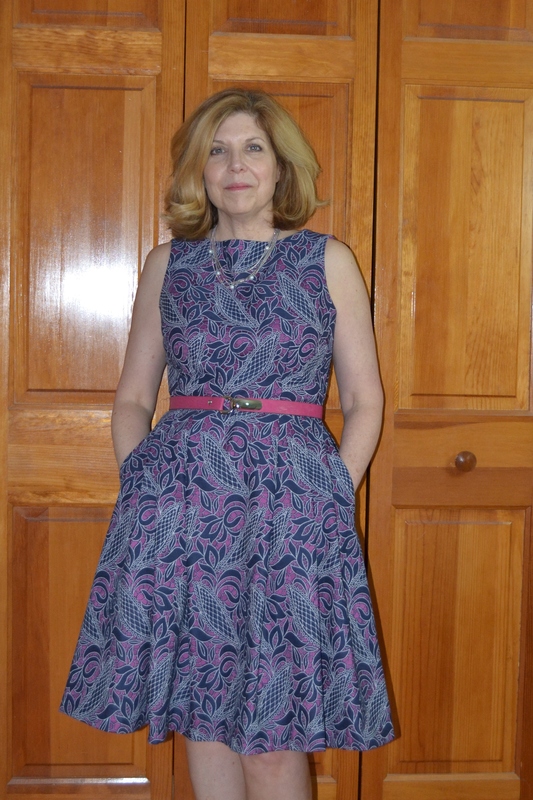 It’s comfortable to wear and has pockets, I love a dress with pockets. 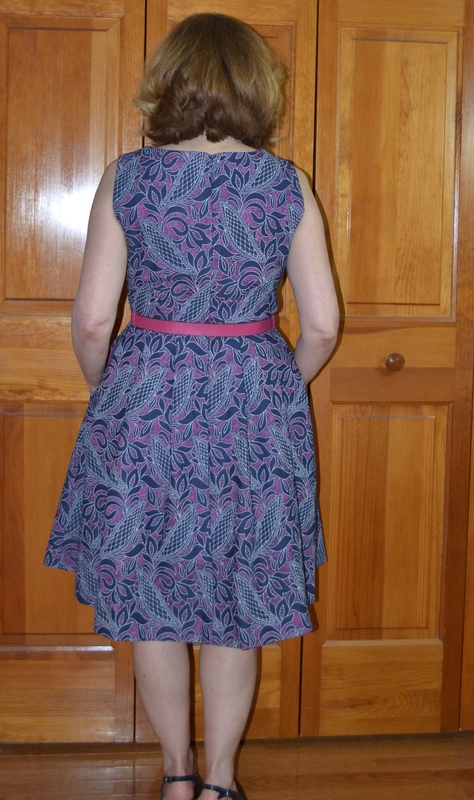 Here’s a peek on the inside, just to show it really is two fabrics. Pink-a-boo or maybe it should be pink-a-blue. Wow! Fabulous! Great idea and impementation! Thanks, I am so looking forward to wearing it in some warm weather. Pink-a-boo or pink-a-blue — too adorable! You are very clever. Thanks, I stayed up late 2 nights in a row to finish it (if only I could quit my day job! )and had some fuzzy thinking. Your dress is lovely. 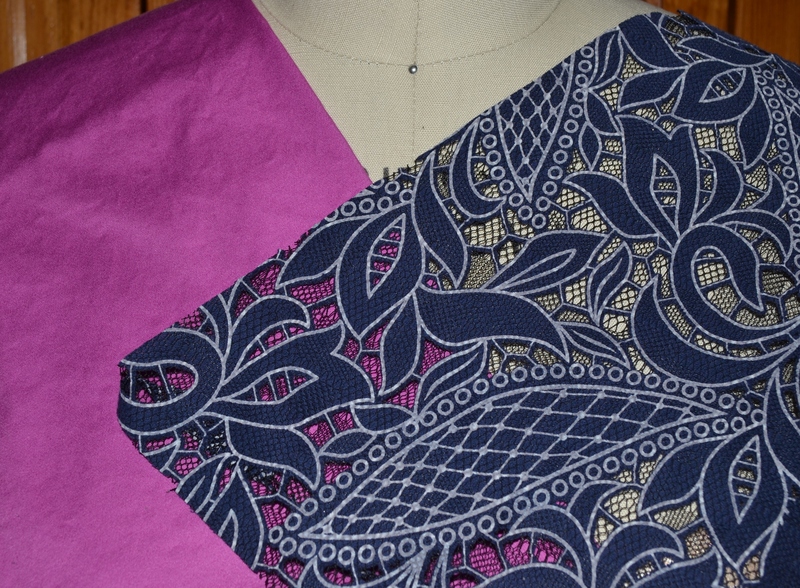 I love the two fabrics together. Have fun at Hilton Head! Thank you, Detroit was getting snow when we left. Hilton Head is warm and sunny, it’s a wonderful break from winter. Your dress turned out lovely. Looks like it is perfect for Hilton Head!